Line specialists from Harrison REMC and Hoosier Energy recently worked together to replace a stretch of power poles near Elizabeth, Ind. As seen on this month’s cover, this level of cooperation is rooted in the co-op principle of cooperation among cooperatives. At the Worthington primary substation, another project had a crew including Substation Specialist Jared Bartlett, left photo, and Line Apprentice Aaron Price, below, working to replace wooden power poles with metal structures. 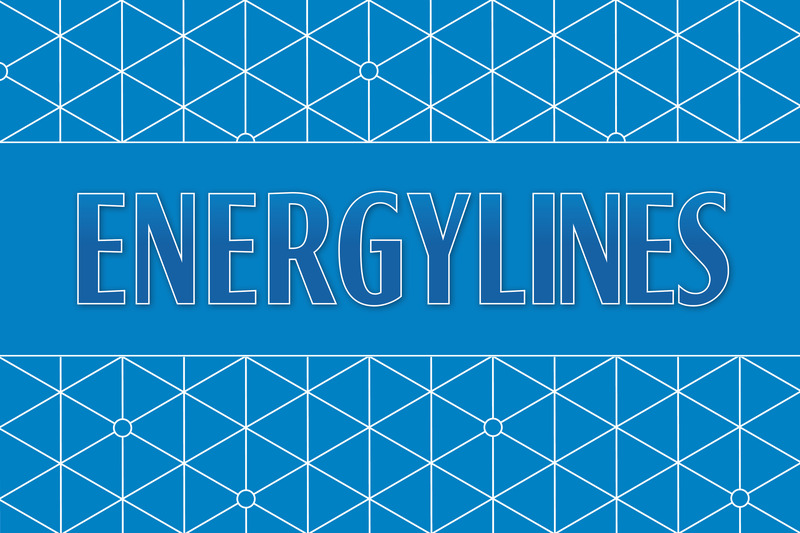 Price spoke with EnergyLines about the equipment he finds helpful on the job and how he views the work he does to improve reliability for members. How did you decide to become a lineman? I was coming out of high school, just not sure what I wanted to do. My dad suggested looking into being a lineman. 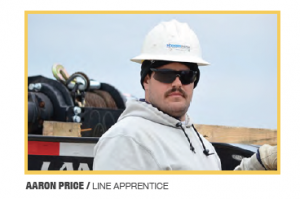 I spoke with some linemen I knew to find out more about the career. I had a hunch that I might like it, so I began my schooling for it. 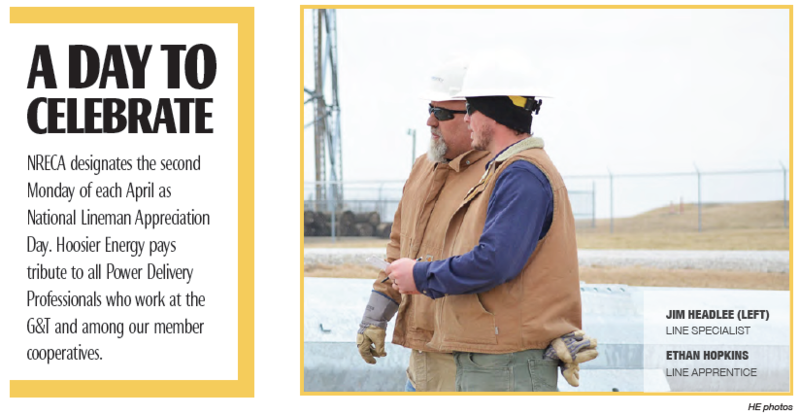 What safety advice would you give to new linemen? Listen to people with more experience than you. Even if you think you know what’s going on, just stop and listen to their advice. Stay out from under loads and out from between heavy things. And don’t touch things unless they need to be touched. Nothing is ‘dead’ unless it’s de-energized and grounded. What piece of equipment is most helpful on the job? The most essential piece of equipment for linework is a bucket truck. Power lines are up high and you’ve got to be able to get up high. A bucket truck won’t do everything, but is one of the most essential pieces of equipment. Communication with the crew you are working with is important. How does your crew communicate with each other? For every job, we always have a tailgate meeting and fill out a Job Safety Analysis (JSA) sheet. We cover all of the specific job hazards and what we are doing for that day. We have hand signals that we use to communicate for when someone is operating a piece of equipment. We also have hand-held radios that we can use to communicate to crew members. You guys are literally building the electric grid. How do you see the work you do improving reliability for our members? I think the work that we do is critical for reliability. For example, on this current job at the Worthington Generating Station, we are changing out wooden poles from 1983 to galvanized steel poles that will be good for 100 years until a re-coating is required.